Join us for an all-inclusive guided weekend getaway to Globe-Miami! Meals, tours, and lodging are all included. Purchase tickets now. Globe-Miami, about 90 miles East of Phoenix, just South of Tonto National Forest and just North of the Pinal Mountains, is a hub for Southern Gila County. These communities were founded in 1875 and 1909 respectively; both as mining camps. As a frontier town, Globe was home to outlaws, stagecoach robberies, murders, Apache raids, and lynchings. Globe was also a favorite spot of many notorious westerners such as Big Nose Kate and the Apache Kid. The Globe Courthouse was also the location of the Apache Kid trails which is now home to the Cobre Valley Center for the Arts. Due to the rugged conditions of the road and a long (about 6 miles) commute many miners had to the operations just west of town, Cleve W. Van Dyke thought it best to plan a community closer; thus Miami was founded. Although some businesses in Globe feared competition from the new community, the majority of community members were happy to have a new neighbor. Globe and Miami’s economies are still highly dependent on the mining industry while attracting tourists each year. These tourists come to learn about the area’s history and culture. One major draw is the legacy of Rose Mofford, Arizona’s first female governor who was born and raised in Globe. 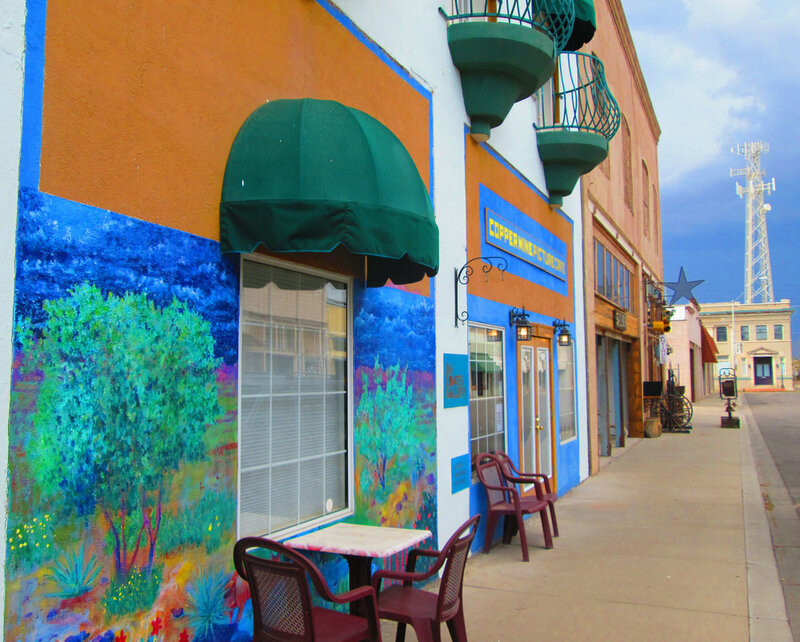 There is an exhibit in her honor within the Cobre Valley Center for the Arts. Another draw is Besh Ba Gowah which is Salado Pueblo ruins dating back to AD 1225. Along with walking through the remains, there is also a museum where many artifacts from the ruins have been preserved. These, along with Old Dominion Historic Mine Park, Bullion Plaza Cultural Center and Museum, and countless antique shops make a trip to Globe-Miami a leap back into the history of the old west and hundreds of years prior as well. After registration is complete the event organizer will inform you of your lodging details. If you have any specific disability requirements regarding your lodging please let the organizer know ASAP at [email protected]. Transportation is not included in the getaway package. Parking is available and easily accessible at every location where parking is needed. *Note - The Arizona Renaissance Festival begins February 10. If attendees of this event driving from Phoenix do not drive down on February 9th they will meet severe traffic for a period of time on the 60 E heading to Globe-Miami. If you cannot check in the evening of February 9th, please let the event organizer know at [email protected]. We can suggest alternative routes for travel. This event will not provide alcohol during the meals, however, the Friday and Saturday night dinners are B.Y.O.B with a $5 corking fee. Yes, please contact the organizer to let them know of the change. You can receive 75% refund if canceled by January 12, 2018. You can receive up to 50% refund if canceled by January 25, 2018. You can receive up to 25% if you cancel by February 2, 2018. You will receive no refund if canceled after February 2, 2018. *Please note, tickets are transferable if you are no longer able to attend.